Shopping for Wolverine Action Figures? The Marvel Retro line captures the nostalgia of the 1970s in a series of limited edition 8-inch figures - and Wolverine is ready to join the team! 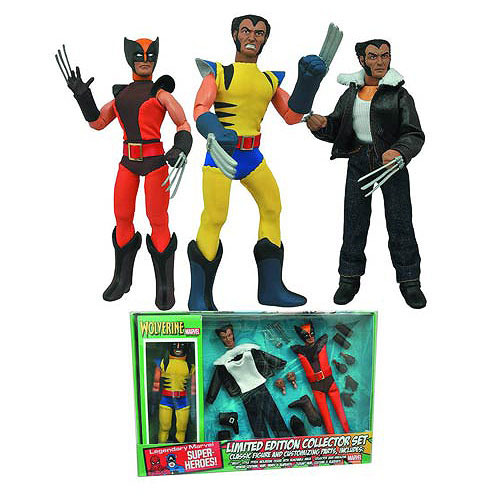 The Wolverine Limited Edition 8-Inch Retro Action Figure Set includes Logan himself, aka The Wolverine, as well as alternate outfits and accessories. It all comes packaged inside a deluxe window box, along with a reproduction of the classic packaging. Edition size of 3,000. Ages 4 and up.